We easily accommodate all size toys, boats and RVs! With angled entrances and extra wide aisles for easy access, it’s no trouble navigating our facility. Our enclosed Boat and RV Units provide safe, clean spaces with protection from wind, rain, and sun damage. We also offer “Pull-Through” storage units, some with electricity, for added convenience. Our boat and RV units start at 10′ x 20′ and go up to a 12’ wide, 14’ high, and 78’ long Pull Through Unit. We provide state of the art storage facilities on nine acres with 1400 units. We can accommodate an 18-wheel truck and tractor trailer in our facility, so you can park closer to your unit, making your next move just a little bit easier. We feature 24-hour closed circuit surveillance, provided by over 80 on-site cameras. We also provide entrance and exit gate codes for our customers so we know who is on our property at all times. 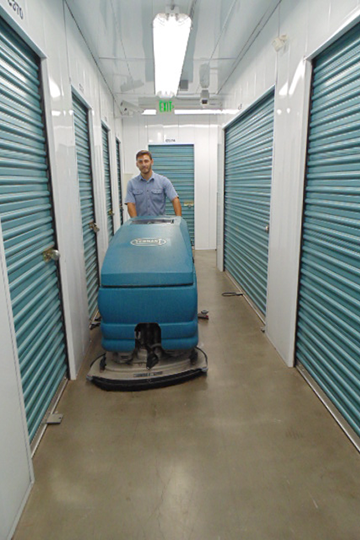 We pride ourselves with providing outstanding customer care and a clean, safe, secure and friendly storage facility centrally located in Ventura County, CA. We have units to fit all your storage needs! We have many other sizes, so please stop by. We would love to meet you and show you around!